The charism of the Teresian Carmel is present in the Church and the world in various ways. Thus we find in the great family of the Teresian Carmel the Discalced Carmelite Friars, who seek to unite a life of prayer with the apostolate in its many forms; the Discalced Carmelite Nuns who live a contemplative life; and the Laity of the Secular Carmel. The lay members of the OCDS seek to live the Teresian Carmelite charism in the midst of the world, in the family, in their work and the normal circumstances of civil life, by managing temporal affairs and ordering them according to the teachings of Jesus in the Gospels and in conformity with the charism of Saint Teresa of Jesus. They follow Teresa’s guidelines on prayer and try to live it as friendship with God, there where they are, so that “the real lover everywhere loves and remembers the beloved”. But they also live prayer in the liturgy, in listening to God’s Word, in the sacraments and in devotion to Our Lady of Mt Carmel, their model for a life that is Christian and Carmelite. They seek to live in fraternal friendship in the community to which they belong and attend and which is governed by a council elected every 3 years. This council takes care of their training and admission to the promises. The cultivation of human virtues and the climate of trust in the community allows sharing and fosters growth in charity and friendship with the others. They collaborate in the apostolate by their witness of a Christian life and assist the sanctification of the world, by means of their life of faith, hope and charity and according to the personal talents of each member. St. Teresa, the first woman to become a Doctor of the Church, attracts men and women from all over the world to Avila to study her life and works. 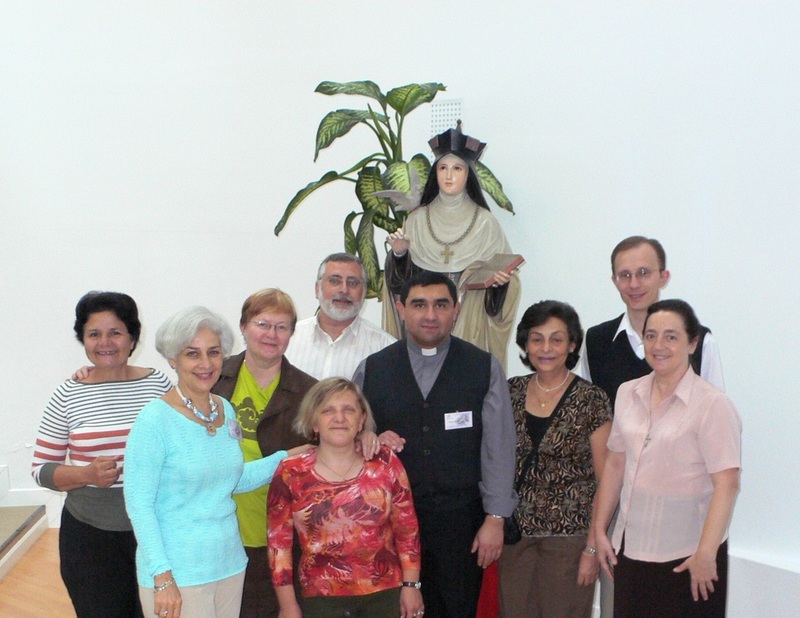 The Carmelite Seculars of Finland meet once a month on a Sunday from 1.30 p.m. to 6.30 p.m.. The meeting facilities of the Studium Catholicum are perfect for our purposes as our meetings are multifaceted: we pray, form, study, and share together. Prayer means interior prayer, Vespers and intercessory prayers. We give formation classes to new members and study the writings of our Carmelite saints, but also writings by other spiritual writers. And last but not least, we always start our meetings with a sharing session where everyone has the opportunity to share joyful and sad events and thoughts “in silence”, that is they are never discussed afterwards. Some years we have had integrated meetings with a study circle and silent prayer open to other than Carmelite Seculars. Mondays at 5 p.m. half an hour of silent prayer open to everyone is held at St. Henry's Cathedral. The Carmelite Seculars juridically depend on the Discalced Carmelite Friars that are the principal nucleus of the Order. The Commissariat of the Carmelite Seculars in Finland is under the supervision of the convent of the Discalced Carmelite brothers in Norraby, Sweden. Our spiritual assistant is Jonas Svensson OCD whom we meet once a year at our annual retreat which is always preached in English. We celebrate the feast of Our Lady of Mount Carmel on July 16th together with the Carmelite sisters in the monastery of the Mother of God, Espoo.